In the event that a request a quote is cancelled or the deposit for the shed order is not made by 30th April 2017 (refer clause 22), then the entry into the competition will be deemed void. Entries must include all requested contact details to be eligible to win. Entrants may only enter their own name. Inaudible, incomprehensible, illegible, inappropriate or incomplete entries will be deemed invalid. In the event that a request a quote is placed on behalf of another person, the entrant into the competition will be the person whose name appears on the request a quote. There are seven prizes available to be won. Total prize value is up to the value of $AU 76,563 RRP as at 31/01/2017 (inclusive of GST). * The winner of the major prize will be able to choose the colour of their car prize from the approved car colours when contacted by the Promoter to notify them they are the winner. In the event that the chosen colour is not available or out of stock for a period of time, the winner will be given the option to choose an alternative colour. In the event that The Promotor does not have available the colour as requested by the Competition Winner, The Promotor has the right to allocate the colour of the prize at its sole discretion, subject to state and territory legislation. The prize excludes all optional extras but includes all mandatory items. The winner will be required to pick up the car from a local Ranbuild dealer (organised by the Promotor). In the event there is no Ranbuild dealer within a reasonable distance from the winner’s home address, the car will be available from a local car dealership (organised by the Promotor). The winner will be required to have photos taken, at the pick-up location (either at a local accredited Ranbuild dealer or a car dealership). Ranbuild may use these photos in media and for any other use at their discretion. The winner will be responsible for any expenses incurred in getting to a local accredited Ranbuild dealer or car dealer and for collecting the vehicle on a day to be negotiated between the winner and Ranbuild (must be within 28 days of the draw). The prize value includes on-road costs (stamp duty, registration and compulsory third-party insurance) If the winner of the major prize requires a WA registration, it is the winner’s responsibility for arranging and paying for an immobiliser to be fitted, as required by WA Road Traffic regulations. To be eligible to claim the car, the winner must be capable of obtaining motor vehicle registration of the Vehicle in his or her name in accordance with the applicable legislation in the State or Territory in which the winner resides. If the winner is, through any legal incapacity or otherwise, unable to register the Vehicle in his or her name, then he/she may transfer the Vehicle to another person with legal capacity for the purpose of registering the Vehicle in the State or Territory in which the winner resides, notwithstanding any other provision of these Terms and Conditions. Prize Open, Close, Draw and Publish dates: The competition commences 01/02/17 at 00:01 AEDT and ends 31/03/2017 at 23:59 AEDT (the Promotional Period). The Car prize winner will be the first entry drawn at the premises of Ranbuild (ABN 61 103 232 444) of 12 Beaumont Street Hamilton NSW 2303 at 11:00 AEDT on 05/05/2017. An order for a Ranbuild shed (deposit) is required by 30th April 2017 to redeem the major and minor prizes (shed order). The cash prize winners will be the first entry drawn at the premises of Ranbuild (ABN 61 103 232 444) of 12 Beaumont Street Hamilton NSW 2303 at 11:00 AEDT on 17/02/2017, 24/02/2017, 03/03/2017, 10/03/2017, 17/03/2017, 24/03/2017. Redemption of the major and minor prizes is available after 5th May 2017. The winner will be notified by phone and mail within two (2) business days of the draw and their names published on the Promoter’s website (www.ranbuild.com.au) from 05/05/2017 for 28 days. 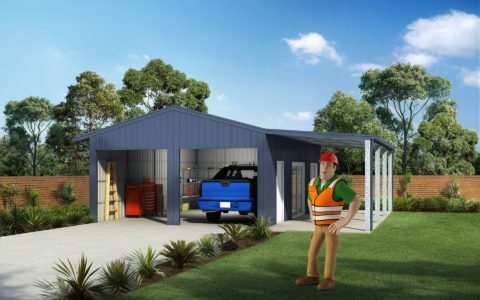 Should the winner not fulfil the deposit required for the shed order by 30th April 2017,the Promoter may conduct such further draws (reserve draws) on 05/05/2017 at the same time and place (11:00 AEDT, Ranbuild (ABN 61 103 232 444) of 12 Beaumont Street Hamilton NSW 2303) and in the same manner as the original draw in order to distribute any unclaimed prize if unclaimed by this date, subject to State and Territory legislation.